Slice up the ginger, leaving the skin on, and add to a large pan with 2 litres of water. Bring to the boil, then reduce the heat to low and leave to simmer for 15 minutes. If you really love ginger and want a fiery kick, make it the day before, let the ginger go cold in the water and leave overnight to infuse. Strain the liquid through a sieve, then squeeze in the lemon juice and add the cloudy apple juice. Bring just to the boil, then add 4 very generous swirls of runny honey and give it a good stir. 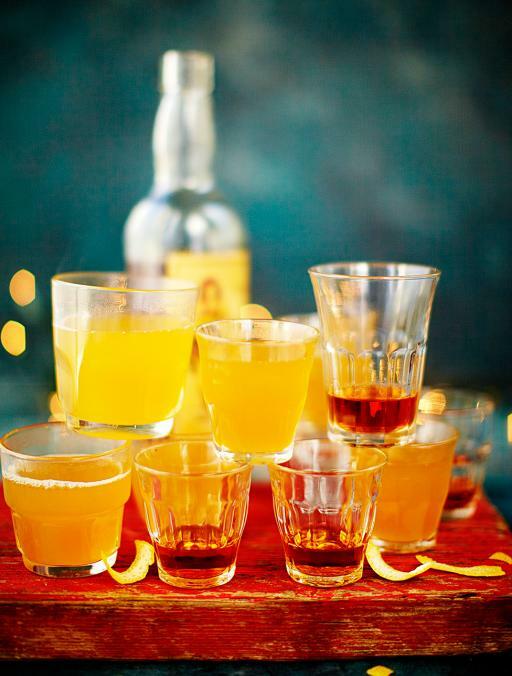 To serve, add a shot of rum to a heatproof glass or mug, then top with the hot lemonade. Bottoms up!